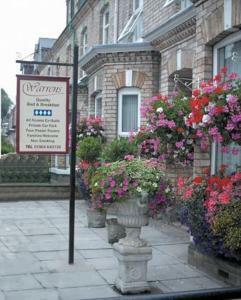 Warrens is our home and we are continually striving to make our guests stay a pleasurable one. We have won several awards, including a Silver Gilt for our garden areas; a Gold Award for our smoke free environment; and we have also been finalists in Guest House of The Year and Guest House Person of the Year. Breakfast with vegetarian and lighter options is served in the conservatory or, in the hotter months, outside under the loggia. Evening meals are available on request. For families we have high chairs, travel cots and portable baby monitors available (parents can relax in the lounge with a bottle of wine and listen out for their little ones). If you want to add a little extra romance to your stay with us, we can put a bottle of chilled champagne, chocolates or flowers in your room for your arrival. If you want anything else, just ask. Price details:Rooms from £60.00 per night (includes discount for booking online).